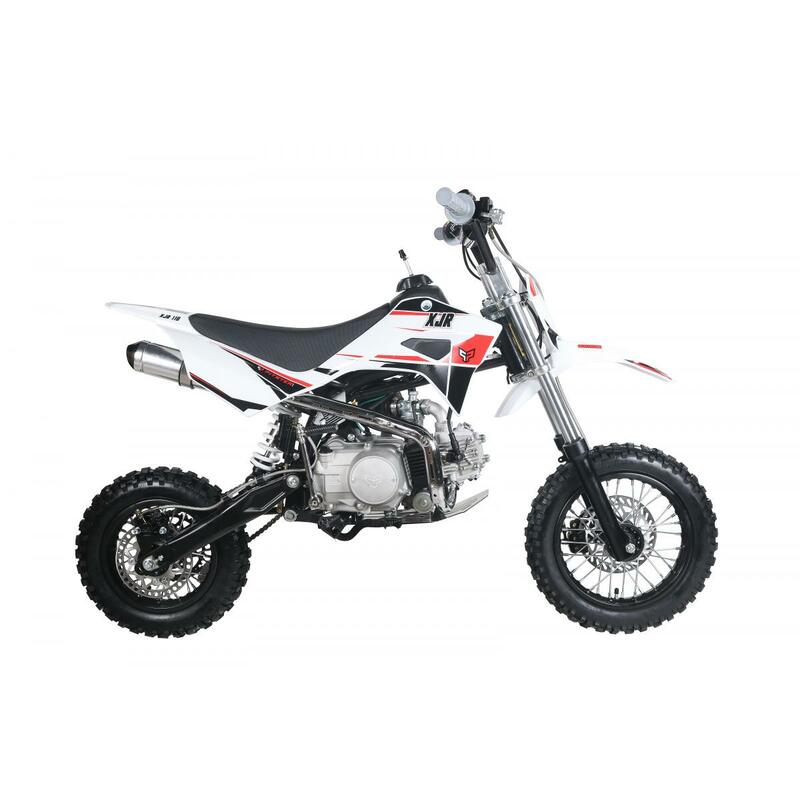 XJR 110 Four Stroke mini bike is a great way for the younger riders to learn the skills to advance to the next level. Smooth 125 four speed semi auto 4-speed transmission equipped with pro-style suspension for precise handling which builds confidence for all riders. Designed with big bike features in a compact and lightweight chassis. Check out the specification link for more details and list of standard features.